In December 2018, the Real Estate Institute of New Zealand (REINZ) revealed in their end of year review that the number of completed property sales was down by 13% nationally, and by 24% in Auckland – the lowest level of sales seen in the city for 10 years. Get yourself fully read for your new life in New Zealand by downloading your free Emigration Guide today! Nationally, December was a slow month across the board in terms of sales – which is often the case at this busy time of year. In December, 5,330 sales were recorded in New Zealand, marking a drop of 12.9%, down from the 6,117 sales that were completed in New Zealand in December 2017. As we bid 2018 goodbye, the national median price of property in the country hit NZ$560,000. This represents year-on-year price growth across the country of 1.5%. The Auckland market has been stabilising for some time, and one of the most encouraging developments that we’ve seen in 2018 is a higher volume of town houses and apartments hitting the market that are priced at less than $500,000. According to leading New Zealand real estate agents, Barfoot’s, end of year update, in 2018 11.4% of all New Zealand property sales fell within this lower price bracket. A significant leap from 8.9% in 2017. The New Zealand property market in 2019 is looking good for buyers. In December, Auckland experienced the lowest number of property sales (1,336) since December 2008. Additionally, the median price in the city hit $862,000. This shows an increase of $2,000 dollars in the median asking price since this time last year. Furthermore, the number of days it takes to sell property in Auckland increased from 34 to 39 – the highest number of days it has taken to sell for the month of December since 2001. ‘With national listing levels down 11.3% in November and 13.3% in December, it’s not entirely surprising that December was a quiet month in terms of sales volumes. However, what we’re hearing is that part of the lower sales volumes can also be attributed to some vendors’ understanding of the value of their home. A realistic approach to market value may help vendors sell their property in a more reasonable timeframe’. Norwell also added that she views the New Zealand market as ‘healthy’ and she expects to see more stability established as we move through 2019. Gisbourne, a popular spot in the North Island with people moving to New Zealand, was the region that saw the biggest leap in property prices. Over 11 months, prices rose by 26% from $275,000 to $346,000 at the end of the year. Gisbourne, a popular spot in the North Island with people moving to New Zealand, was the region that saw the biggest leap in property prices. Over 11 months, prices rose by 26%. The smallest growth in property prices was experienced in Nelson on the South Island, another popular spot with British expats, where prices increased by just 2% from $510,000 (£267,350) to $520,000 . What factors are affecting the market? There are a number of elements at play which have affected the New Zealand property market in 2018, and look set to continue having an impact in 2019. Firstly, the non-New Zealand resident foreign buyer ban was implemented towards the end of the year. Also, other factors at play include decline in property prices in Australia’s biggest cities, the rumour that capital gains tax will be applied to investment property in New Zealand in the future, and general concerns over the economic stability of the world, given Brexit and the ongoing trade friction between the USA and China. If you’re planning on moving here, it’s important to investigate how the New Zealand property market is expected to perform in 2019. Will prices go up? Will they go down? What areas are the best areas to buy in? Where will your money go furthest and so on? 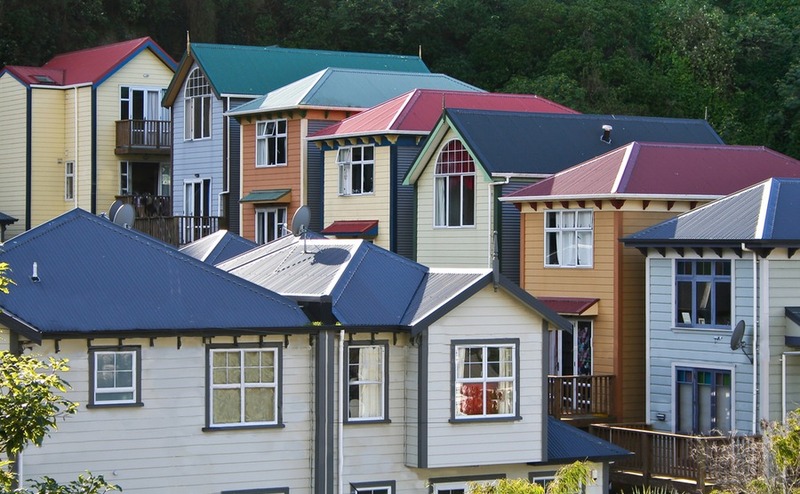 According to CoreLogic, prices are set to rise across New Zealand by 3-5% in 2019, a similar amount to how they have risen in 2018. They also anticipate that price growth is likely be a little higher in Wellington and Dunedin, and lower in Christchurch and Auckland. CoreLogic also predicts that regional centres, such as Napier, Whanganui, Invercargill and Palmerston North, are expected to continue performing well throughout 2019. As of January 2019, New Zealand banks are set to have relaxed the LVR restrictions they impose on those borrowing money to purchase property. While, this could theoretically make it easier for more people to borrow, and to borrow more, just how far the banks relax this lending criteria remains to be seen. Realistically, the lending criteria set by banks is likely to remain on the tougher end of the scale, but it’s certainly worth keeping an eye on, especially if you will need to seek financial support to buy a property once you move to New Zealand. Has the foreign buyer ban made any difference? While the market has undoubtedly slowed since the foreign buyer ban came into place in October 2018, it is probably a little too soon to calculate the exact impact effectively. However, this will be something experts will be fighting to establish as the year goes on. StatisticsNZ are due to release key data on the matter as early as February. Before the ban, foreign buyers accounted for 1-2% of the property buying market. If the ban is effective, and has been policed as strictly as outlined, this number could well have fallen to zero. New Zealand’s government is very committed to increasing construction of low-cost homes across the country. In 2019, we can expect to see construction of new property to really ramp up, in terms of the amount of properties being built and the number of people actually buying these homes. Leading the way will be KiwiBuild, an initiative established by the Labour government in 2018 that aims to build 100,000 homes in New Zealand specifically for first-time buyers, over the course of the next decade. Their first target was to build 1,000 homes by mid-2019, and so far, things look to be on track. At the end of 2018, KiwiBuild also announced a number of partnerships and contracts to build in 2019, as well as a significant number of sales. You might wonder how this applies to you as a non-first time buyer moving to New Zealand? Well, if a completed KiwiBuild property fails to sell through the ballot system established for it, then the property can be sold to other types of buyers, whether that is foreign investors or recent arrivals to the country, at the same capped prices. The primary aim of the scheme is to increase the amount of stock available of starter homes in the country. The government hopes that many of them will go to first-time buyers, but it is not an essential factor of the scheme. 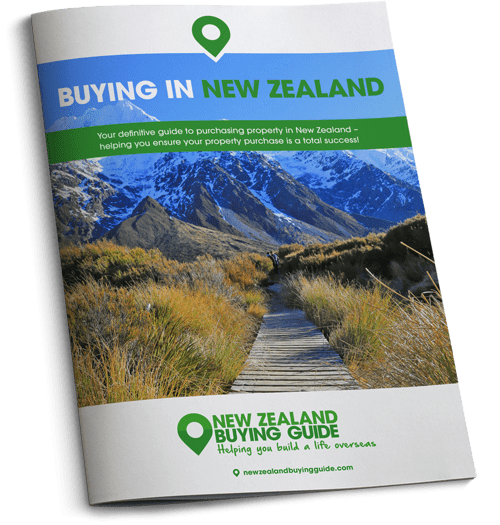 If you have any questions, give your New Zealand Property Specialists in the Resource Centre a ring on +44(0)20 7898 0549 or email newzealand@propertyguides.com. Furthermore, the creation (and success) of KiwiBuild seems to be stimulating the construction market, and demonstrating to building companies that there is a real thirst amongst buyers for small dwellings. Hopefully, this will generate more construction in this corner of the market in 2019. Good news for those thinking of taking out mortgages to buy when they move to New Zealand. The official cash rate looks set to stick at 1.75% in 2019, and the majority of 2020. This will have the effect of keeping interest rates low and stable. Any increases we do see in interest rates this year are likely to be small, but as ever, it pays to keep an eye on the situation.